Breast Enlargement with the help of surgical procedure is not only desirable for the sake of enhancing your overall personality, but also has a great impact on your attitude and positive behavior. You can expect clinically reconstructed Breasts as a result of Breast Augmentation Surgery which is cautiously implemented at our Sheffield Clinic by considering overall safety and wellbeing measures. When you opt for a cosmetic solution to redefine your looks and external appearance, you are essentially looking for a superficial solution that can cater to your outward appeal alone. But, we are concerned about your health as well and you must be equally considerate about what can impact your overall health and wellbeing of your Breasts. You can be ambitious because you are making the right choice of Cosmetic Breast Clinic in Sheffield. Cosmetology often represents ambition and passion to achieve unique and transformational change. 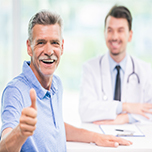 At the same time, there are several aspects of it that require adequate caution being an entity of healthcare and management. 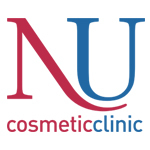 Nu Cosmetic Clinic is a reputed name in this filed with chain of premium cosmetic care centers located across UK. You may expect the high-end facilities and optimum standards of care in all our centers. Driven by passion to make every ambitious dream real through cosmetic solutions, we take pride in our exclusive commitment towards Cosmetic Breast Enlargement. 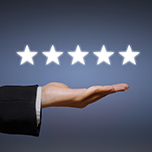 You can look at ratings both from an academic perceptive as well as from an objective view point. When ratings and expert reviews are limited to some academic update, it might make little sense to you. But, the top ratings we have been boasting about in the arena of Breast Enlargement and Augmentation Surgery facilitated at our Sheffield Clinic are inspired from real time scenarios and our position stands validated because most of the top ratings we are referring to are from neutral sources. As an enthusiast, you can always take personal interest in evaluating our treatment standards, facilities and approach we take for successful Breast Enlargement Therapies. There are special occasions that always remain memorable and the best part of it is when we have such occasions repeating pretty often. Yes, we are talking about patient testimonials, they are thrilling some times and many times we are encouraged by what our patients share about our commitment and dedication. These testimonials are nothing but the feedback and recommendations shared by patients and their associates who have the first hand experience of how we go about helping them to achieve ideal Breasts in terms of their position, shape, size and structure. Our cosmetic surgeons and plastic surgery specialist are a matter of pride for us. You can witness the same when you interact with Mr.Gabriele Borghini and Mr.Guiseppe Pedone who are renowned plastic surgeons with core expertise of facilitating reconstructive procedures, among which Breast Enlargement is a premium one. Apart from their caliber and unique capabilities, you would recommend them for their approachable attitude and graceful conduct. Our Sheffield Clinic is officially open between 9:00 and 17:30 during the weekdays. In order to ensure flexibility and added convenience, we are available to schedule appointments during the late weekdays and weekends as well. It would be quite simple to reach our Cosmetic Clinic that is strategically located at center of Sheffield Medical District. 24 Wilkinson Street, Broomhall is the simplified address for your reference. Our facilities include free care park availability; there are eighteen spots available for patients. Do walk into our cosmetic care center conceptualized with contemporary concepts, meant to maximize your comfort levels.